Thornton is the perfect community for those looking for everyday conveniences and open spaces within reach of downtown Denver. Our close proximity to I-25 and Wagon Road Park and Ride makes your commute easier. Hawthorne Hill is the ideal home base for employees of Adams 12 School District, Dish, Comcast, City of Thornton Police Department, and Northglenn Police Department. Explore the neighborhood with us. Hawthorne Hill was designed to highlight the very best that Thornton has to offer. We look forward to welcoming you home. 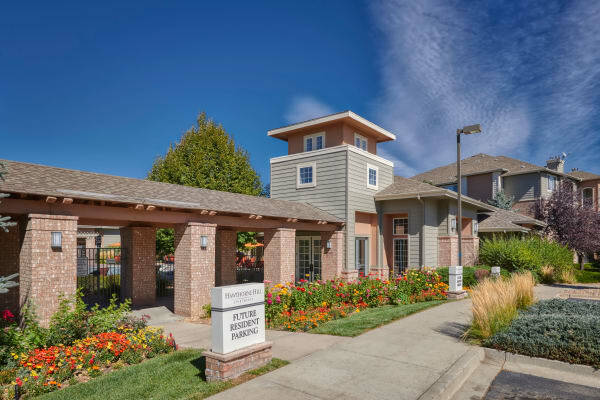 If you’re looking for a deluxe apartment home with an easy commute to Metro Denver, Hawthorne Hill is the place for you. Our plentiful open community spaces and designer homes are just minutes away from great shopping, dining, and everyday conveniences. Take advantage of our on-site playground and dog park or venture out to one of Thornton’s scenic parks and play areas. Running errands is easy with quick access to Thornton’s many shopping centers, including The Orchard Town Center. From eclectic restaurants and thrilling recreation opportunities to great schools and easy commutes, Thornton has it all. We know you have a choice on where to live in the greater Denver area. We’d love to welcome you home to Hawthorne Hill Apartments.